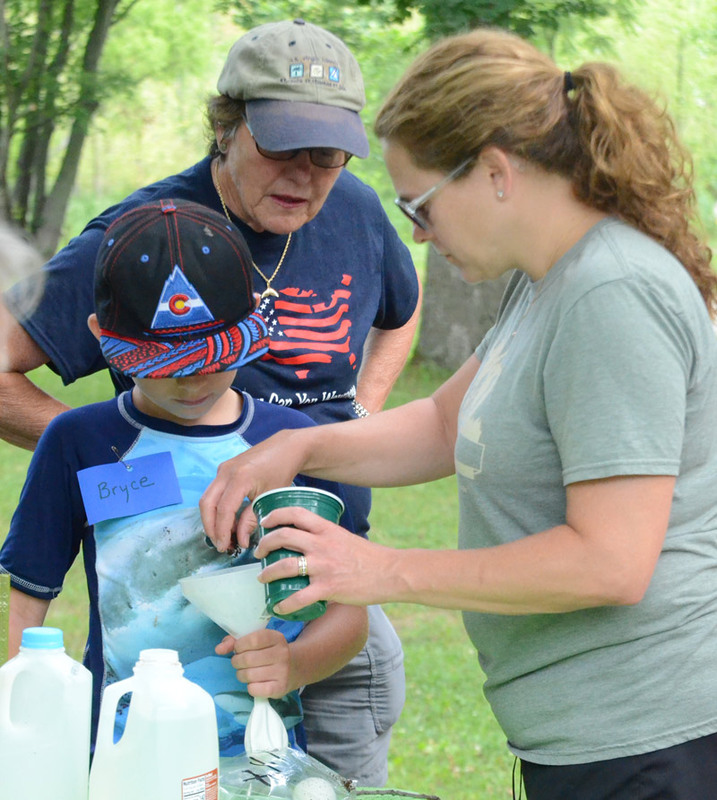 SYRACUSE — Approximately 40 youngsters, accompanied by adults, participated in the first of four Wetland Adventures at the Wawasee Area Conservancy Foundation, SR 13, Syracuse, Thursday morning, July 6. Those participating today learned about the watershed by creating a lake and a watershed. 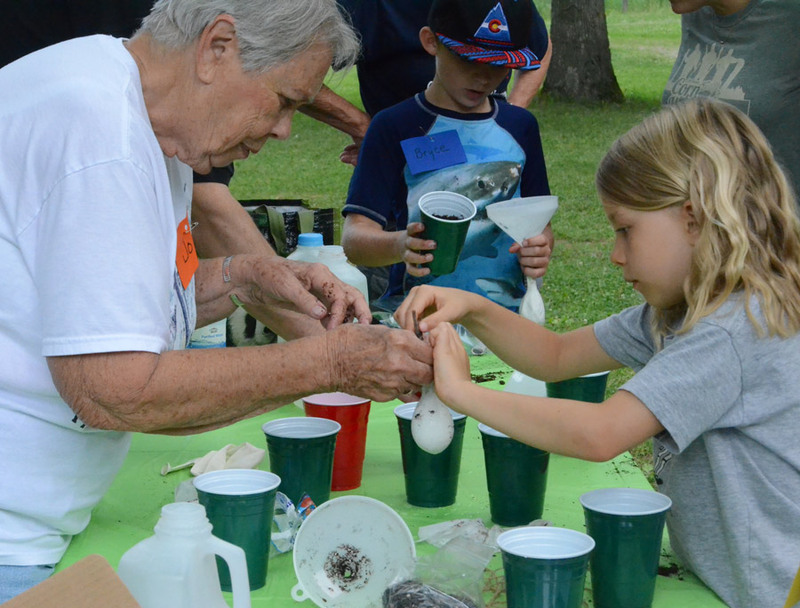 Pam Schumm, WACF board member, used a variety of items (soy sauce, food colored water, sprinkles) to represent the various elements found around lakes — oils, animal waste, fertilizer and soils along with natural items such as rain. The demonstration also included the use of sponges to represent a wetland. Michael Leppert works on his greenhouse using a clear plastic bag. 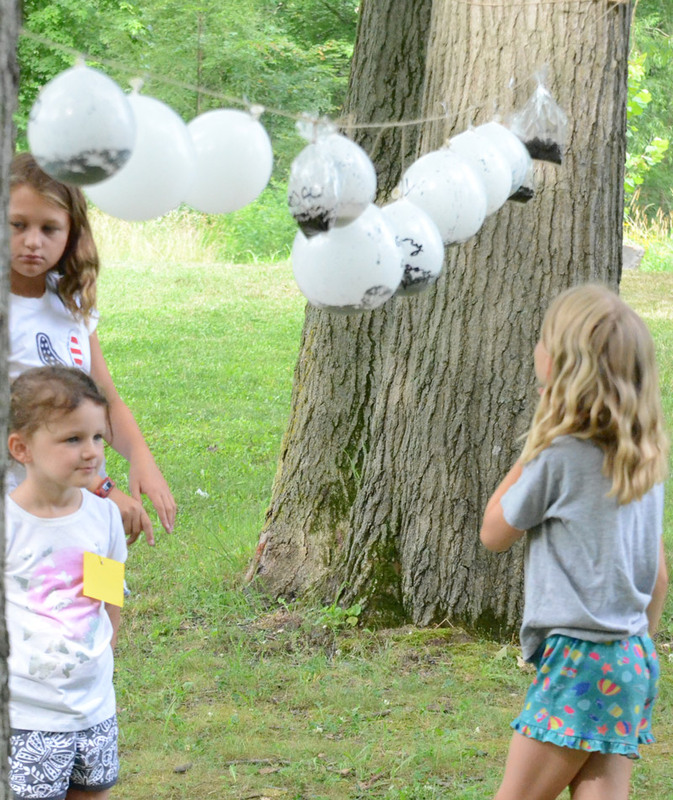 With the use of spray bottles filled with water, to represent a rain storm, the youngsters learned how all those elements found around a lake can end up in the lake following a rain storm. It also demonstrated how the wetlands (sponges) absorb some of the elements. A brief discussion was also held on what each individual can do to help protect the lake. Following the hands on participation of creating a watershed, the youngsters were divided into four groups. Each group spent 30 minutes participating in four planned activities. 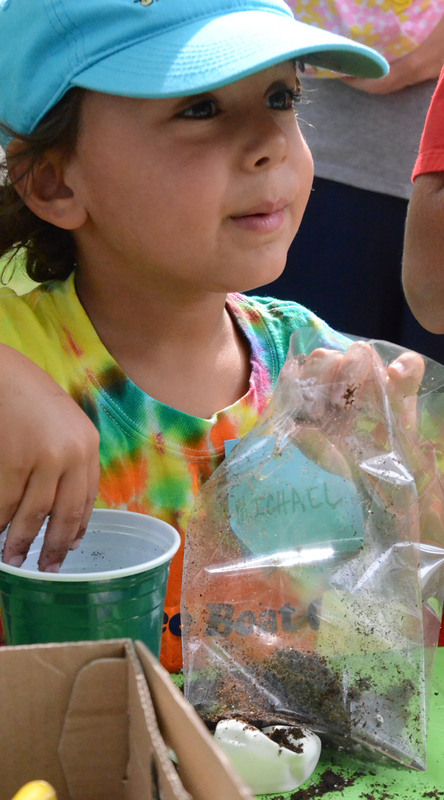 The activities for this day included making a balloon greenhouse — placing soil, water and four sunflower seeds in a balloon and then inflating the balloon or use a clear plastic bag, to take home at the end of the program. 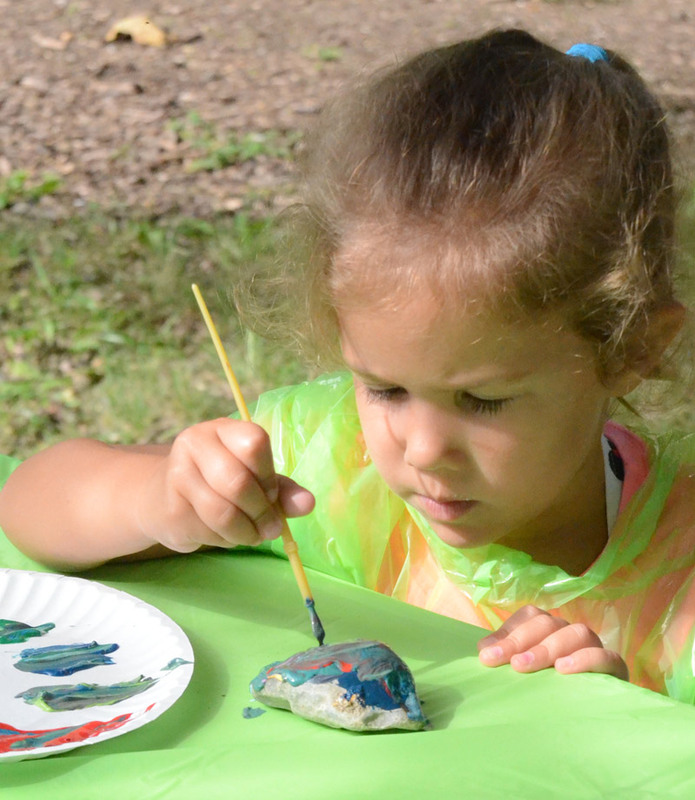 There was also rock painting where creations of all kinds were painted on small rocks that could either be left at the center or taken home, and making an underwater viewer using a PVC pipe, tape and plastic wrap. 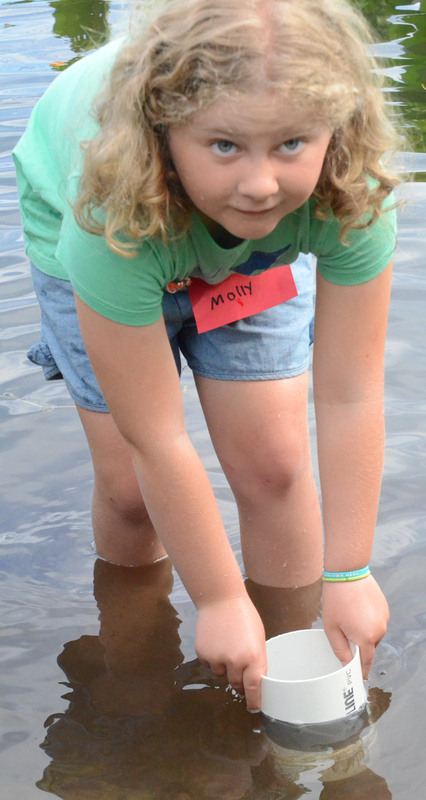 Each one could also participate in a canoe scavenger hunt looking for specific plants and animals. 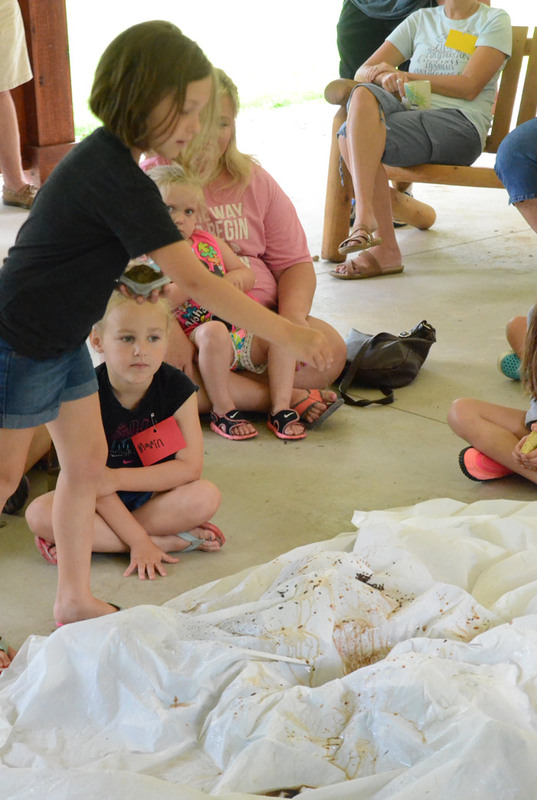 WACF is hosting the Wetland Adventures each Thursday morning from 9 to 11 a.m. Activities change weekly, with the exception of the canoe scavenger hunt. 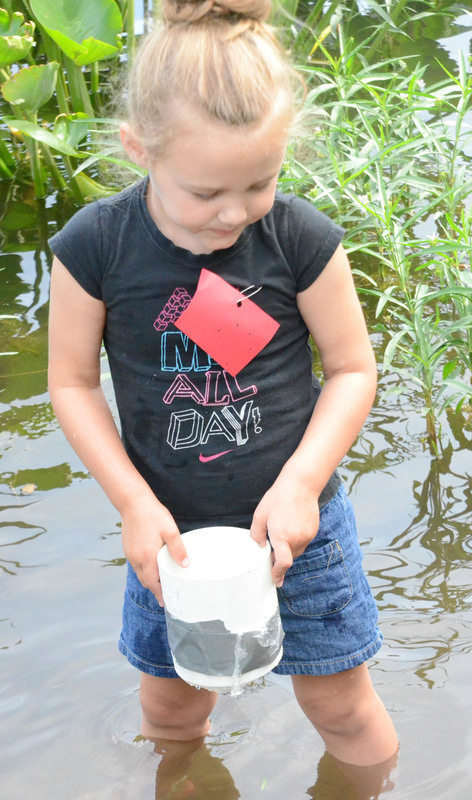 July 20 — Who dirtied the water, pizza solar oven, conifer painting and butterfly feeder. 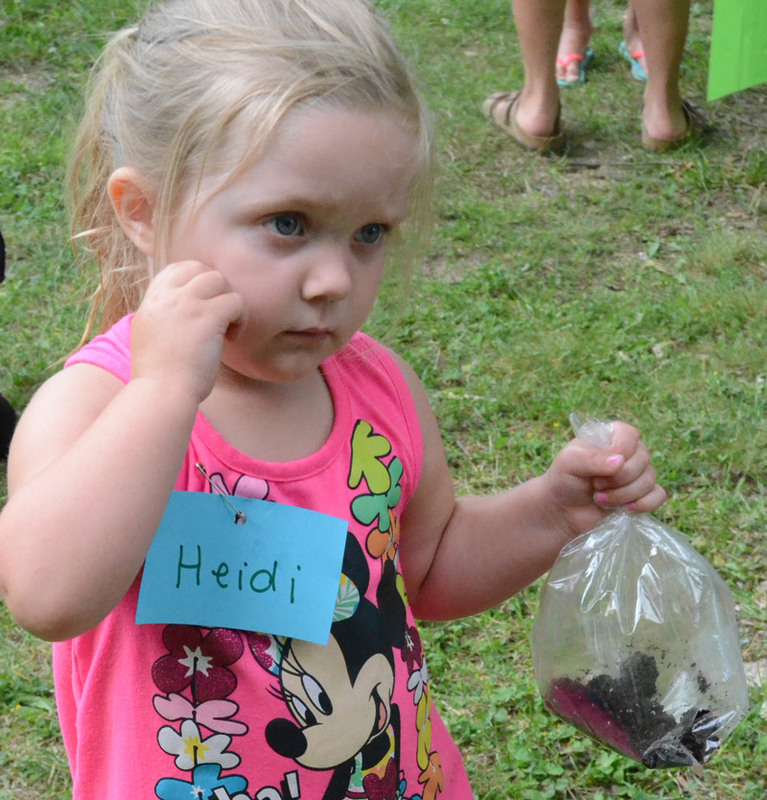 July 27 — Red Cross pillowcase, walking water, paint a toad abode and eagle mobile. Participants should bring life jackets to participate in the canoe scavenger hunt. The canoes will be furnished. 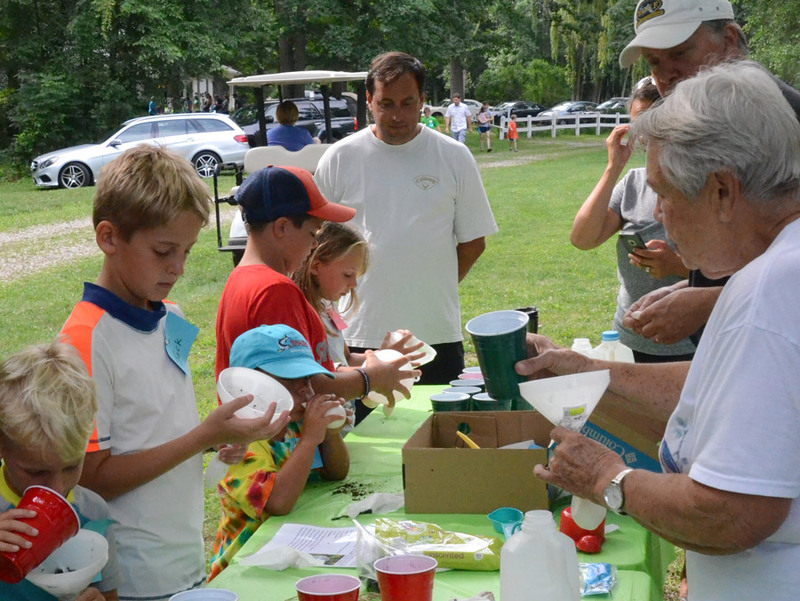 These activities are free and provided by WACF as an educational, yet fun learning experience. 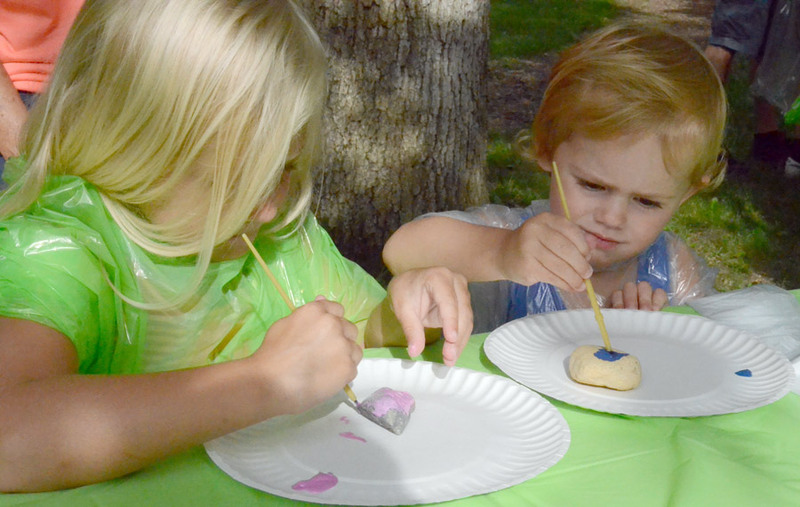 Blakeland and Scarlett Hesemann create works of art during the stone painting activity. 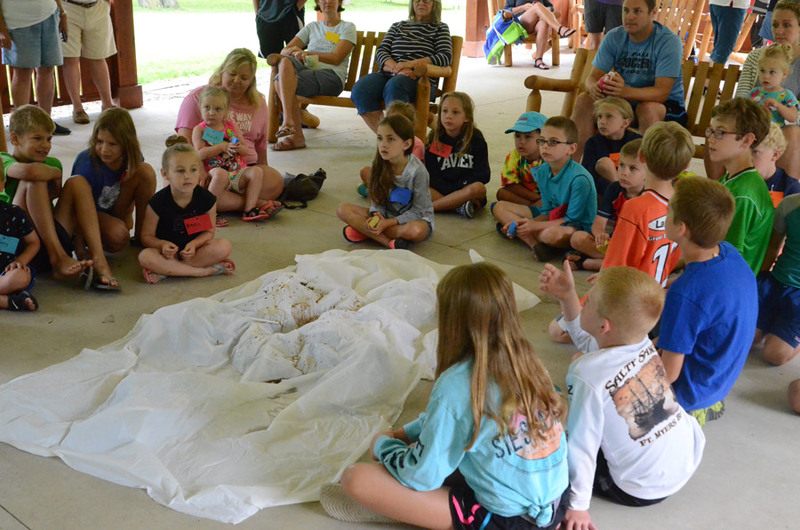 Participants in the Wetland Adventure sit in a group to learn about the watershed and the role wetlands play in protecting the lake. Mallory Szynal sprinkles fertilizer in the watershed. Jo Butler and Hamilton Harwood instruct participants on creating a balloon greenhouse. Heidi Collar has a good hold of her greenhouse. Jo Butler, left, helps Grace Gravel with her balloon greenhouse. Josephine Lepper concentrates on her painting. Jean Isrealson, right, helps her son Bryce, create his balloon greenhouse. Marilyn Berkey, grandma, watches on. These three girls take a look at the various balloon greenhouses created. Molly Tzur shows how to use the water viewer she created. Marin Szynal prepares to use her water viewer in the lake. 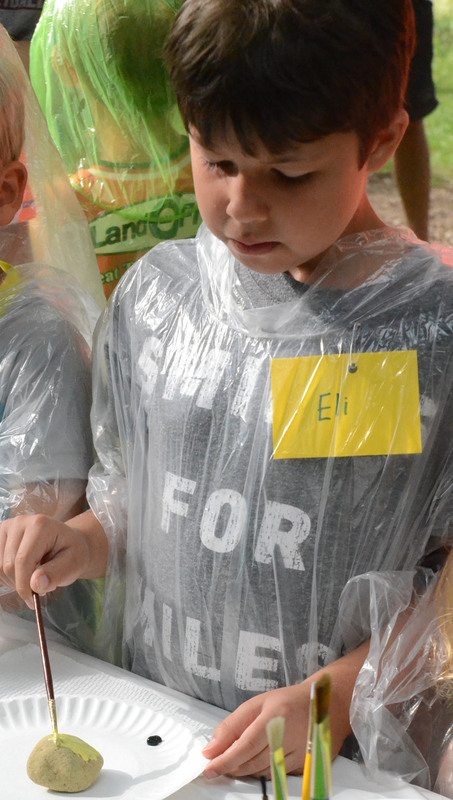 Eli Downham begins his rock painting creation wearing a rain poncho to keep clean.